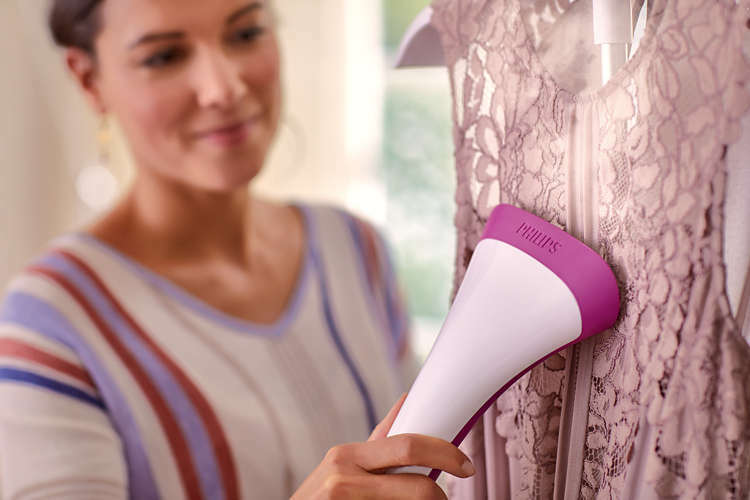 Philips EasyTouch Plus Garment steamer is designed to iron out difficult creases and support you with quick touch-ups of delicate clothes. The steamer has covers a large surface area for fast and even steaming, set to three steam levels so that you can optimize its flow for different kinds of fabric. It also comes with a large detachable tank for easy refill. Adjust up to 3 steam levels to adjust the flow, suitable for all kinds of fabric. 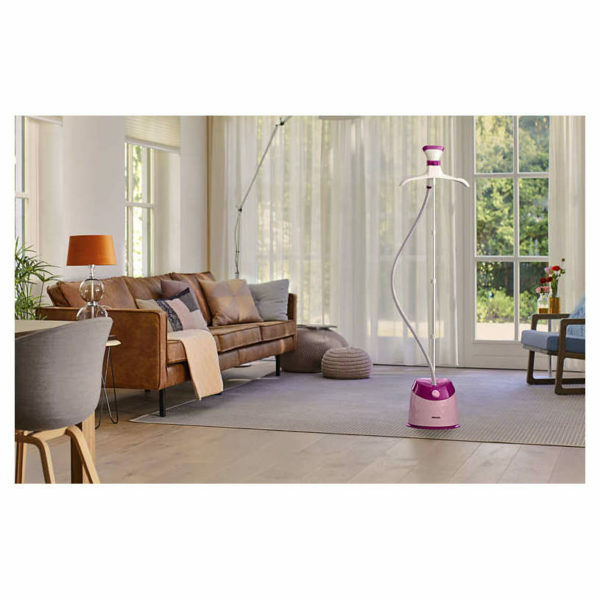 You get the optimum height setting with the adjustable pole when using the steamer. You get a powerful steady steam for efficient wrinkle removal. Use the de-calc function for longer life of the appliance.